Have We Moved Past Primary Diagnosis? For the past decade-plus, the digital pathology industry, pathologists and regulators have had conferences, meetings, and association and society gatherings to figure out how to ensure safe and effective use of whole slide imaging. Early meetings focused on pixels and colours. Subsequent discussions were about study designs and clinical validation.These discussions ranged from scanning whole slide images (WSI) to viewing them and how the technology compared with the use of the light microscope. This comparison, in and of itself, created issues as the microscope is largely not regulated. Without a predicate device for comparison, it was difficult to know how to measure one technology against another. That was then. This is now. Now we have a manufacturer who has been given clearance by the FDA to market their WSI system for primary diagnosis in surgical pathology (including H&E, special stains and immunohistochemical stains). Perhaps as a function of the length of time it took to prove to regulators that whole slide imaging is as effective, without increased risk, in providing a technology that allows pathologists make a diagnosis that is equivalent to the light microscope, it seems that we as a pathology community have moved beyond this. If the null hypothesis was that whole slide imaging is equivalent to analogue microscopes, that hypothesis has been proven and approved by the FDA for primary diagnosis for patients. 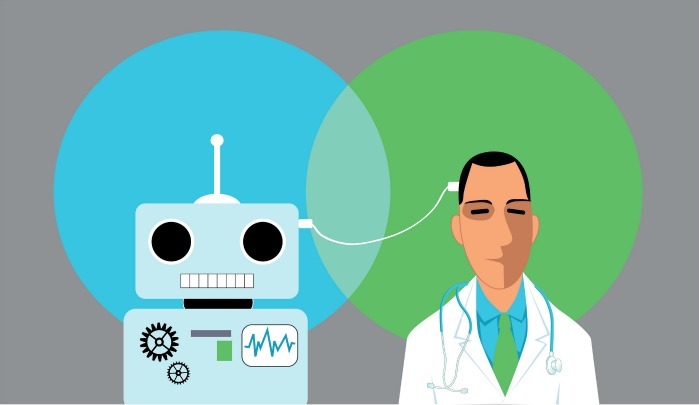 “Machine learning”, “deep learning”, “artificial intelligence” and “data mining” are now terms that seem to be of greater interest than “primary diagnosis”. Despite the validation of using whole slide images for primary diagnosis, there has been a steady growth of using those images not for the diagnosis itself but as an adjunct to making the use of those images more efficient. Instead of looking at the haystack with whole slide images, we are looking for needles in the haystack. The market seems to have shifted from using images to augment what the microscope has served us well doing on its own to refining the software used to create those images into other applications that refine what we once thought of as digital pathology, i.e. consultations, frozen sections, and primary diagnosis. The scanner replicates what the microscope does – it provides an image that can be interpreted. The monitor replaces the oculars on the microscope, but deep learning and artificial intelligence take that information among those pixels and colours from those first FDA meetings outside of Washington, DC almost 10 years ago and provide something else; cognitive tools rather than strictly computational ones, converting wax and glass to bits and bytes. Now we have bits and bytes to look at those bits and bytes. And of course, much like pathologists thought that whole slide images would result in a complete disruption of our livelihood – “cases being read overseas”, “taking away our microscopes” and such, there is now concern that deep learning and artificial intelligence are additional threats to our professional being as pathologists – “Google will replace pathologists”. Haven’t we learned that there are differences between computation and cognition? Between scanning a slide versus pushing one across a microscope? Between finding an image tile or structure or cell that is different than the surrounding tissue and correlating what that means with the clinical history? It has taken us some time to reliably achieve reproducible scanned slides consistently. The technology now exists today for laboratories to scan 100s to 1000s of slides a day. This goes back to a very early value proposition for digital pathology; the concept of “content rich data sets” which whole slide images represent and the possibility of “computer assisted diagnosis”. The key word here is “assisted”. Much like whole slide images are a tool to provide data to pathologists, deep learning and artificial intelligence, algorithms will become part of our toolkit. Computers can convert the information from one format to another and increasingly search for that information among the pixels, but knowing what that information means is purely human. The real value of digital pathology is not in using whole slide images for diagnosis alone. The real value is in providing the information to neural networks that can mine more information beyond what optical microscope and the human eye can recognise across large image repositories. The real value lies in digital pathology assisting us to do what we enjoy with increased accuracy, precision, consistency and speed. Primary diagnosis as a goal was the start, but it is not the end. 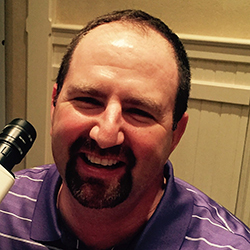 Keith Kaplan is Chief Medical Officer at Corista, a practising pathologist and author of the Digital Pathology Blog. Have you seen the agenda yet for the Digital Pathology Congress? View it here.